Home news Plateau Killings: Irigwe community urges government to lift curfew. Plateau Killings: Irigwe community urges government to lift curfew. midnight attacks on its rural settlements. Mr Sunday Abdu, National President, Irigwe Community Development Association, made the call at a press briefing on Monday in Jos. 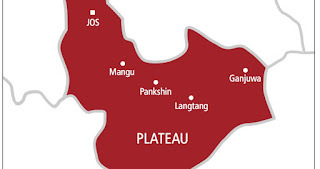 The Plateau government, on Friday, imposed a dusk-to-dawn curfew on Bassa Local Government as part of measures to curtail the midnight attacks. According to the Plateau Police Command, scores of people have been killed in the attacks that started three weeks ago, with Ncha village recording 26 deaths in the first major attack. Further attacks took place in Taegbe village where six people were killed and several others injured, while Miango Jebu took its turn last week, losing five youths to the assailants. Kpachudu, Nkiedonwhron and Nzhwerivo villages were also attacked at the weekend, with unconfirmed reports indicating that scores were killed in their sleep. Abdu, who spoke on the situation in the affected areas, said that the curfew had not achieved its goal of reducing the spate of attacks. “We had a sense of relief when the curfew was imposed, but it has only made it easier for the attackers to operate unhindered, while our people are caged by it. “For the avoidance of doubt, Kpachudu and Nzhwerivo villages, where 29 people were killed while taking refuge in a primary school, were attacked on the first and second days of the curfew. “The siege has continued; our conclusion is that the curfew was only for our people, not the attackers. “If government must keep the curfew, it should be ready to enforce it. Alternatively, it should be lifted so that our people can defend themselves or, at least, be able to run away from the attackers,” he said. He also lamented that the heavy presence of security personnel in the area had not benefited the locals, and urged security men deployed to protect the people to “do more”. Abdu expressed regret that members of the community had abandoned their farms for fear of being killed, saying that some were already dying of hunger as even markets were not accessible. He also wondered why government had not assisted the community with any form of relief materials since the attacks began, and urged Plateau people to join hands to protect the state from invaders. Meanwhile, Mr Suleiman Kwande, House of Representatives member, who represents Jos North/Bassa Federal Constituency, has called on the Federal Government to investigate the Bassa killings and bring the perpetrators to book. Kwande, in a press statement issued on Monday in Jos, described the serial attacks as “shocking and unfortunate”. The lawmaker said that the attacks were too many, and urged government to “act fast to save the lives and properties of innocent people”. He called on the Federal Government to set up a special committee to particularly investigate the fresh killing of 29 people, who were taking refuge in a primary school. Kwande also called on the National Emergency Management Agency (NEMA) to provide relief materials to the affected victims to cushion the effect of the attacks on their families. Reacting to the call to lift the curfew, Mr Dan Manjang, Special Adviser to Plateau Governor on Media and Publicity, said that the decision to lift the curfew was not a prerogative of the governor. “The dusk-to-dawn curfew was imposed on the advice of the security council which comprises the Police, SSS, Special Task Force and other key stakeholders. “We have heard the complaint of the people. We shall sit down at the same security council and look at it on its merit before taking a decision,” he said. Manjang described the persistent attacks as “deplorable”, and promised that all that was necessary would be done to end them. “We are not happy with what is happening; the governor is so worried about the attacks. We have tried a lot to check them and shall continue to put in our best until there is peace in Plateau,” he said. The official, however, said that government was not aware that people taking refuge in a primary school were attacked and killed. “People should be in their houses while the curfew is in place. They should defy any order to go to any primary school because government is not aware of that,” he said.